Among a wide variety of drug nanocarriers liposome-based delivery systems are particularly attractive due to a number of advantages, such as biocompatibility, complete biodegradability, low toxicity, ability to carry both hydrophilic and lipophilic payloads and protect them from chemical degradation and transformation, increased therapeutic index of a drug, reduced side effects, etc. 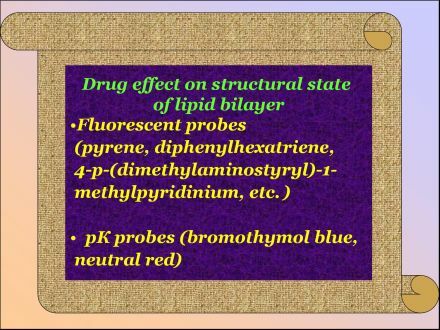 The physicochemical characteristics of liposomes (size, lamellarity, surface charge, pH- and thermosensitivity) can be readily manipulated. 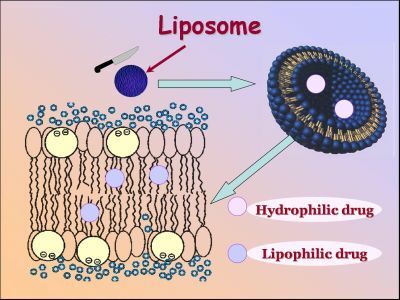 Furthermore, the possibility of bringing together therapeutic, targeting and imaging compounds makes liposomes an ideal candidate for producing nanocarriers with a number of coordinated specialized functions, optimum pharmacokinetic parameters and controlled drug release in the pathological zone in response to pH, temperature, photo or other stimuli. The studies of lanthanides are conducted in close cooperation with Prof. Todor Deligeorgiev, Dr. Alexey Vasilev and Prof. Nikolay Gadjev from Sofia University "St. Kliment Ohridski", Bulgaria. 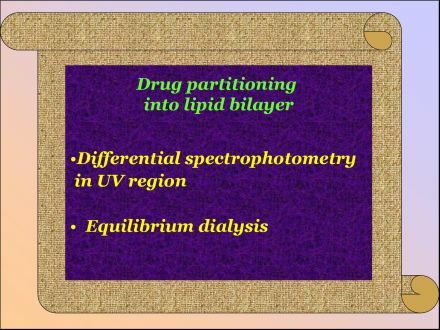 Membrane-associating and bilayer-modifying properties of the drugs are evaluated using absorption and fluorescence spectroscopy techniques.